For superior quality granite, marble and quartz worktops and glass splashbacks in Sheffield, then Affordable Granite and Marble are your leading supplier, with trade links globally that extend to India and the Far East. Our professional team has a combined experience of over 200 years in the industry, offering high quality installation and design. We cater for your kitchen surface and bathroom surface with traditional and bespoke fitting, and we even have sinks, taps and accessories as well as glass splashbacks to help you create the perfect interior – you’ll be spoilt for choice with our fantastic range of colours and designs. We even have a beautiful selection of stone bowls available in a variety of attractive designs to finish off your room perfectly. 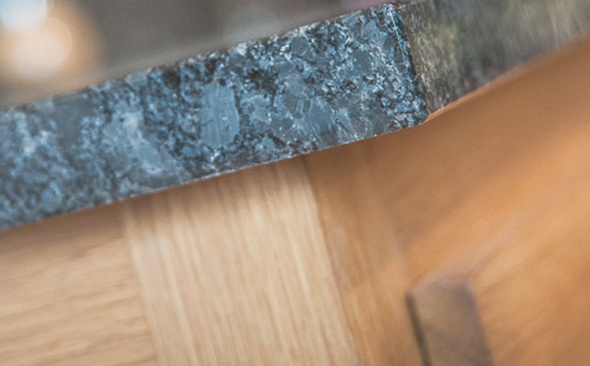 Our worktops and work surfaces are ideal for the home as well as trade and commercial environments; we will even provide a project manager to ensure your surfaces are fitted to spec and on schedule. Our worktops and work surfaces are ideal for the home as well as trade and commercial environments; we will even provide a project manager to ensure your surfaces are fitted to spec and on schedule. You can rest assured that customer satisfaction will be guaranteed when you come to us for high quality splashbacks and worktops. Contact our friendly team today to learn more about how our UK stocked surfaces can enhance your home or business across Sheffield and the surrounding areas.